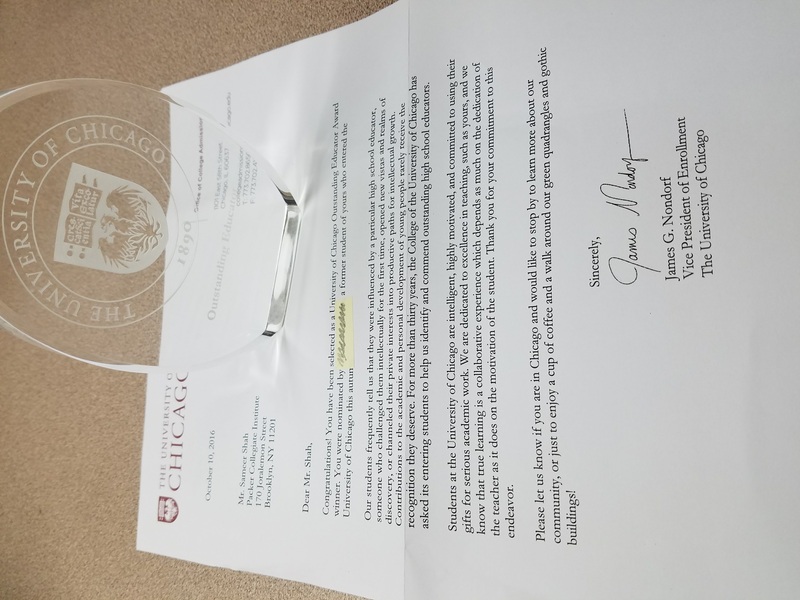 Received the University of Chicago Outstanding Educator's Award in 2016. *Recipient of the fifth annual Northwestern University Distinguished Secondary Teacher Award in 2015. This was instigated by a former student who was graduating college, and was awarded after an extensive application, recommendations, and formal interview with a large panel. *Appointed the fourth recipient of the William C. Stutt Chair of Math, Science, and Technology at Packer in 2014.